And for afters, how about some ice cream? I began to worry, before I wrote this, that the number of ice cream recipes on this site was slightly disproportionate. But then I realised that it’s only disproportionate if you don’t like ice cream that much, in which case, I don’t understand. Besides, this deserves a place as it’s dead simple (no custard to make) and, obviously, it tastes nice. It also features one of my favourite liqueurs, Frangelico, which is a delicious hazelnut-flavoured booze. If you don’t have it, don’t feel that it will be a waste to buy a bottle just for making this. If you don’t end up drinking it, you can pour it over ice cream alongside coffee for a more alcoholic affogato, or you can add it to baked yoghurt, or buy Allegra McEvedy’s Colour Cookbook and make the ‘autumn a la mode’ on p224 (maybe not the most economical of solutions, but it’s a great book). 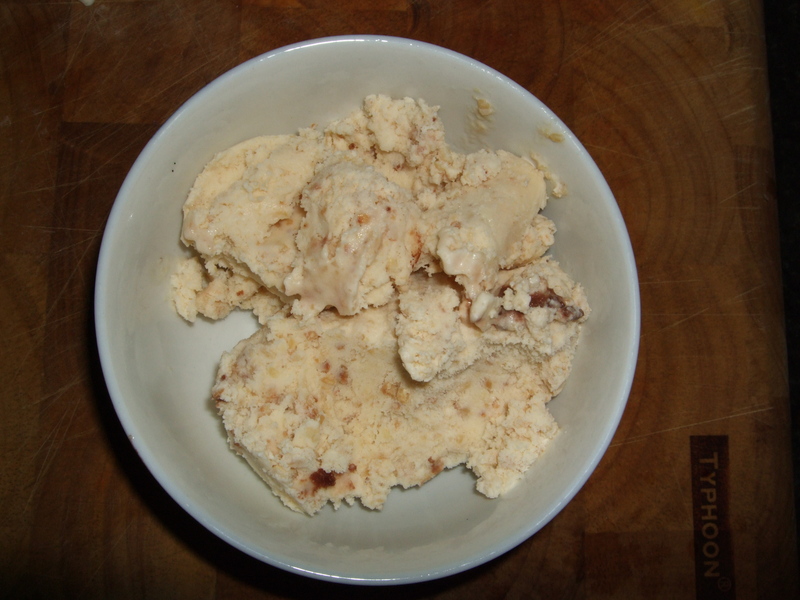 You won’t get quite as smooth a result as you would with a more complex ice cream, but that hardly matters as it will start to melt once you’ve drowned it in alcohol. Nightcap and pudding all in one. I’m somewhat embarrassed to admit that I got this from a Woman & Home magazine. And I’m not even 30 yet! But they do produce a glossy quarterly publication called ‘Feel Good Food’ which I really like, even despite the cringey name. They claimed this serves 6, which is an outright lie. Toast the hazelnuts in a medium oven until golden (or dry fry them in a pan). Finely chop in a food processor or by hand until breadcrumb sized. Mix all the ingredients together and churn in an ice cream machine until almost frozen, then transfer to a container and freeze until solid. 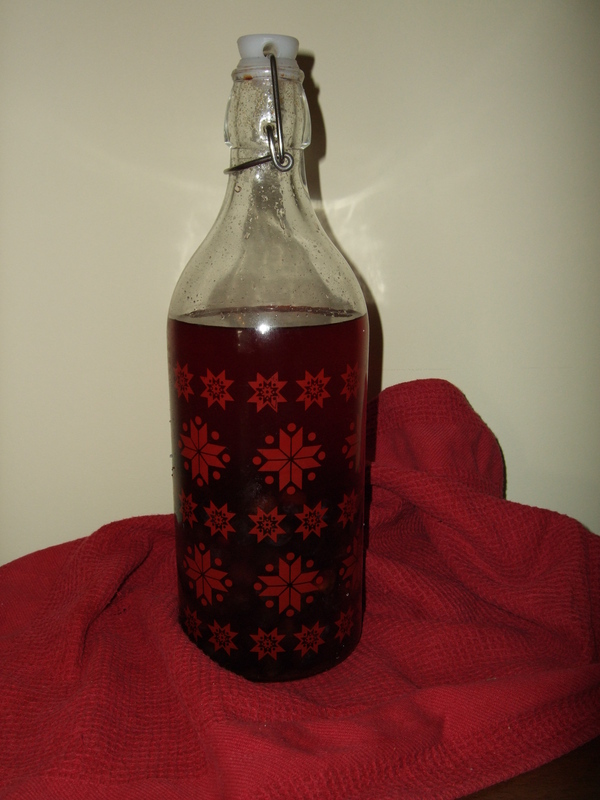 The bad news is it’s too late now for your sloe gin to be ready in time for Christmas. The good news is, that means you won’t feel obliged to give any of it away as Christmas presents. Hooray! You’ll probably be in more need of it in January, anyway. In fact I recently learned that if you make your own booze by mixing vodka with blackberries, elderberries, sloes etc. in a jar, leaving it in a dark place for a few months, and shaking it every day, then you have made ‘tincture’. I.e., it’s medicinal. If you want to make it more drinkable, you have to add a considerable amount of sugar, which no doubt reduces its healing benefits somewhat, but the link is clear. 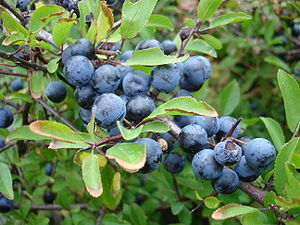 If you live in Oxford, plentiful sloes are available in Brasenose woods (at the bottom of Shotover). If you don’t, I’m afraid I can’t help you, except to say that the branches of the sloe have lots of sharp thorny bits which are apparently slightly poisonous, so avoid getting scratched by them if you can. And don’t eat the berries raw, they make your mouth taste all furry. It goes without saying that you should not use your finest gin for this – any nuances of taste will be smothered by the sugar and fruit. I used Tesco’s value range, but I’ve heard good things about Lidl gin in this context. You will need 2 large kilner jars, or similar. Sterilise them by washing them in hot soapy water and drying them in a low oven. In the meantime, wash and dry the sloes and prick each one several times with a (sterilised) needle. This is the tedious bit. I read that you could bypass it by putting the sloes in the freezer so the skins burst, but it didn’t work for me. So put the radio on, or listen to a podcast or something. When all the berries have tiny holes in them, divide them between the warm jars, cover each with half the sugar, and top up with a bottle of gin each (keep the gin bottles to reuse for the final product if you like). After 3 months the gin will be ready to drink – apparently it benefits from being kept for longer, but I’m not able to comment on that. You should shake it every day for the first couple of weeks or so and then whenever you remember after that. Keep it in a dark, cool place. When the time is up, strain out the berries and pour the finished gin either back into the original gin bottles or into something prettier (the rather cute Christmassy bottle in the picture came from Ikea). I realise this might seem a bit two-weeks-ago, now the elderflowers are shedding their bloom and fading from the hedgerows, but I couldn’t write up the recipe until I was sure it had worked, and now it has I’m all over-excited about it. Plus, there’s always next year, right? When the elderflowers were in full throttle, back when it wasn’t raining like every single day, I picked so many that I needed to find ways to use up the ones that hadn’t gone into cordial. I turned to my trusty copy of Darina’s ‘Forgotten Skills’ and found recipes for elderflower vinegar, elderflower tempura and elderflower ‘fizz’. The elderflower vinegar I dutifully made, bottled, and have not used. The elderflower tempura fell by the wayside because I can never be bothered to deep-fry things. The elderflower fizz was more intriguing and seemed almost too simple (‘this magical recipe transforms perfectly ordinary ingredients into a delicious sparkling drink’), but I weighed the ingredients into a bowl, left it overnight and bottled it as directed, leaving it on its side in the wine rack until…a week or so later I realised I hadn’t put the seal in properly and half of it had leaked all over the worktop. What was left looked pretty flat and I assumed it needed pressure to work and I was looking at a big fat fail. But then! Tonight we decided to open it anyway. The top came off with such an almighty pop I shrieked like a very girly girl. I poured it into a glass. It fizzed! It was delicious. And so I can only urge you to make this as soon as possible, which I’m sorry may well be May 2012, because it does seem to be completely foolproof. Magical, even. *It’s not actually alcoholic. Well, maybe a very little bit. Shake the elderflower carefully to remove any insects (it helps to do it onto a pale surface so you can see them, they tend to be tiny). Remove the zest from the lemon with a swivel-top peeler. Put all the ingredients into a bowl with 4.6 litres of cold water and leave for 24 hours. Strain the liquid and pour into strong screw-top or flip-top type bottles. The bottles need to be well sealed (ahem!). Lay them on their sides in a cool place for 2 weeks, after which they should be sparkling and will be ready to drink.